1 tart apple peeled, cored and chopped. Stir the lime zest and juice and vinegar together in a small bowl. Slowly whisk in the olive oil until incorporated. Stir in the mint. 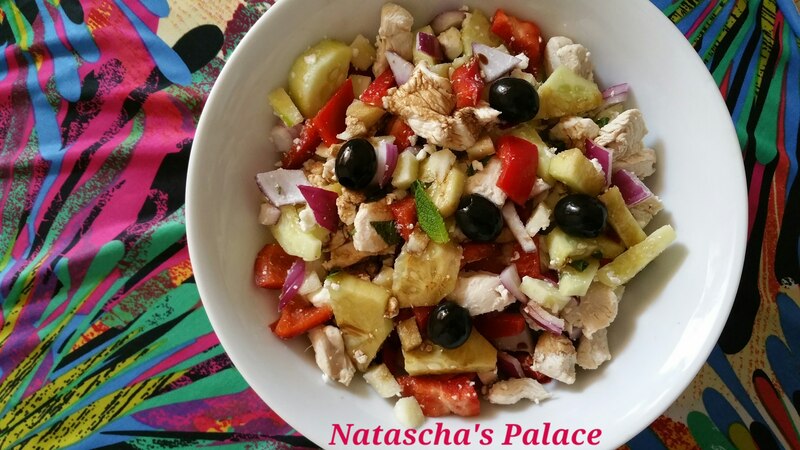 In a medium bowl, combine the apple, cucumber, pepper and onion. Drizzle with the vinaigrette, season with salt and pepper, and toss gently. Sprinkle with feta cheese, garnish with olives and serve immediately. This is also great if you add avocado 🙂 I put in a bit of boiled chicken breast too! I will have to try this, it sounds like something Evie would like!